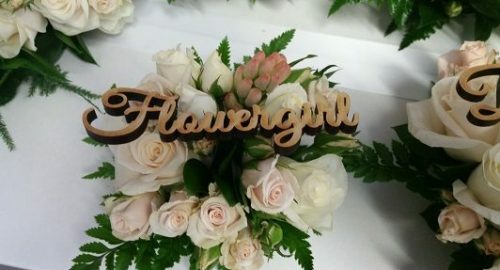 Michelle’s Wedding Flowers and 2 Flower Crown parties. Home Wedding Party Flowers Bridesmaid Bouquet Michelle’s Wedding Flowers and 2 Flower Crown parties. 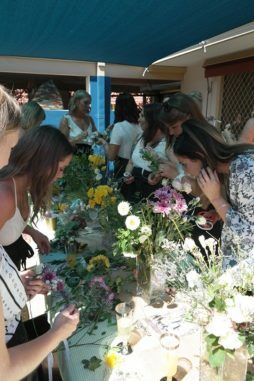 A really nice weekend began with a trips to Ellenbrook and Mullaloo to deliver Michelle’s wedding flowers. 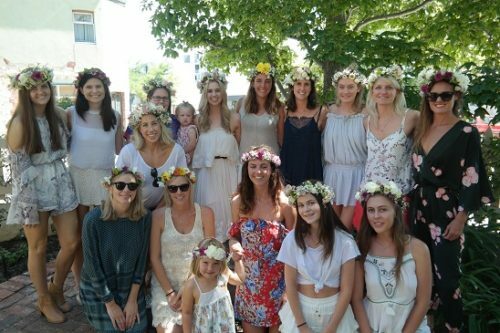 Also we hosted 2 Flower Crown parties. A Hens party in Scarborough on Saturday and a trip to Fremantle on Sunday for Louise’s birthday party. It was lovely to provide the wedding bouquets and buttonholes for Michelle’s wedding on Saturday. Lovely too that some of our favourite suppliers were also involved. 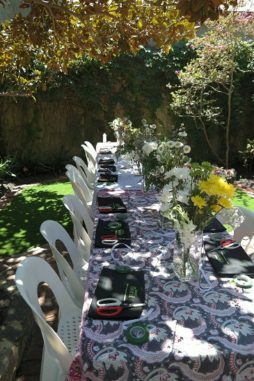 Jason of Afrotastic Productions, Brigid of Total Brides and Sweet Floral supplied the flowers for Just Cakes to decorate their beautiful wedding cake. 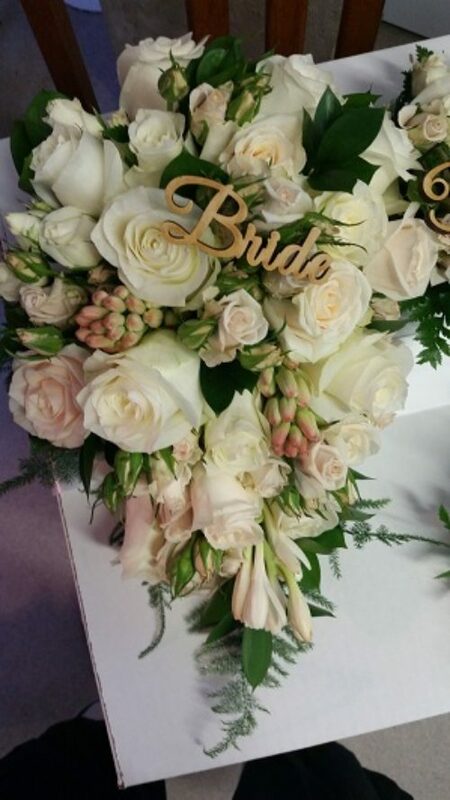 Michelle chose a Medium soft tear drop bouquet with white, cream Roses , spray Roses, Tuber Rose, very soft pink spray Roses, and a little soft greenery finished with ribbon down the stems. 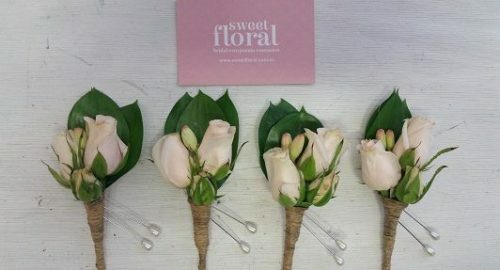 The 4 bridesmaids had small posy bouquets with the same flowers as Michelle, and the 2 Flowers girls had the same flowers but in a slightly smaller posy still. For the groom a Cream Vandella Rose with backing leaf, and for his 4 groomsmen a Blush pink Rose with backing leaf. It was lovely to meet lots of lovely ladies over the weekend. 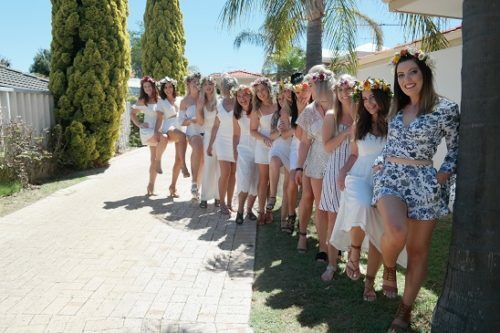 Firstly in Scarborough a Hens party for 13 was great fun. 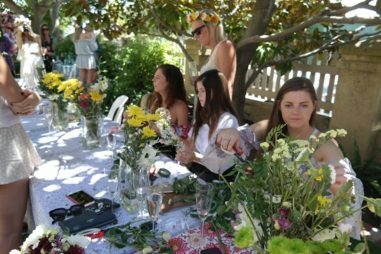 Then on Sunday we were off to Fremantle to meet 17 ladies who were celebrating the birthday of Louise. 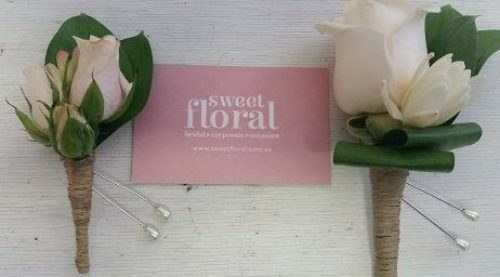 Sweet Floral, Wedding Florist Perth. 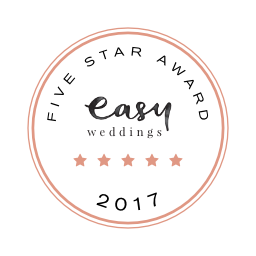 We would love to hear from you if you have any questions about flowers or are looking to organise the flowers for your wedding. 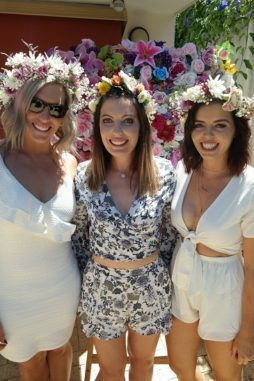 Also if wish to book a flower crown hens party then contact Nicky on 08 9447 3384 , fill in our online wedding enquiry form, or email flowers@sweetfloral.com.au. Perth Wedding Flowers . Sneak peek. Wedding Bouquet. 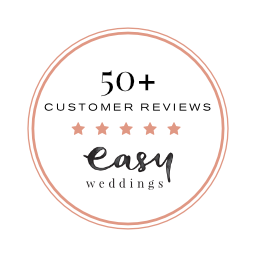 Feedback from Bride, Courtney. 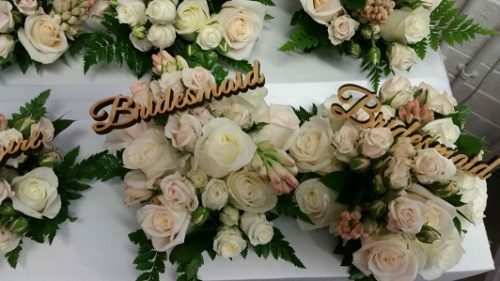 Feedback:Country Wedding Flowers. A thank you from Rachel.